Happy Easter from the World Help family! Today, we want to pause and say thank you for joining us in bringing help and hope around the world. Easter is the celebration of Jesus Christ—His compassion, our renewal . . . and eternal hope. It marks the promise of redemption. And it is the foundation for how we reach out to others. This Easter, we want to reflect this promise with thousands in desperate need of hope . . . through Gifts of Hope. These unique gifts are strategic ways we can invest in lives by providing sustainable health and well-being to struggling communities. 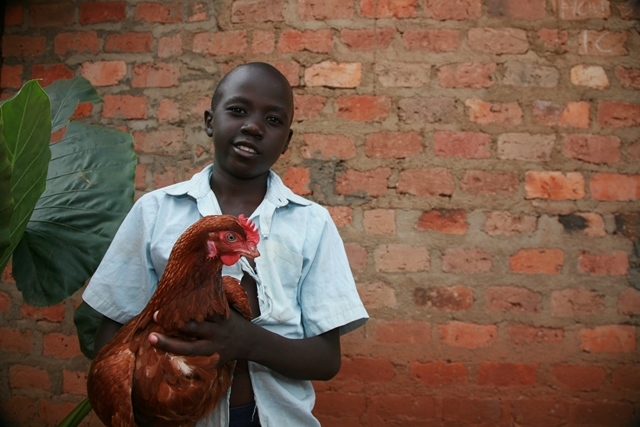 In some cases, hope comes in an unpredictable form—Chickens. They’re a source of essential nutrition, income, fertilizer, and can be bred easily. They can help a village overcome hunger, weak agriculture, poor economy, and hopelessness. In the rural community of Chegutu, Zimbabwe, dozens of families have fought the crushing effects of extreme poverty . . . decade after tiring decade. But the seed of hope has been planted in this village. 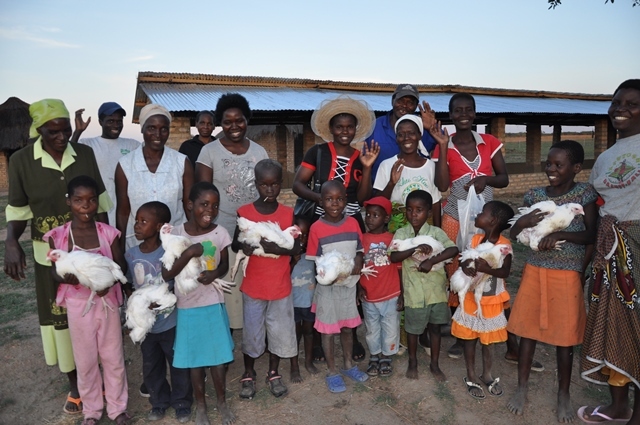 With the help of individuals like you, we had the opportunity to personally distribute chickens to families in Chegutu. We watched as their faces lit up! Suddenly, the slumped shoulders of exhausted fathers straightened into proud postures. Mothers beamed with dignity and gratitude. The children laughed carefree as the chickens squawked around their feet. These simple gifts were the start of a new kind of hope for Chegutu. Easter represents the gift of hope. And we want to share this same generosity with those who need it most—like the people of Chegutu. It’s a promise that requires only a simple action. Will you join us? This Easter, give the gift of hope. *Browse our spring 2013 catalog here to learn more about how you can bring sustainable hope. You’ll find chickens, rabbits, harvest-producing seeds, and so many more opportunities to leave a legacy of hope in the lives of those without it.